Emma Lewis was a daughter of noted potter Lucy M. Lewis. 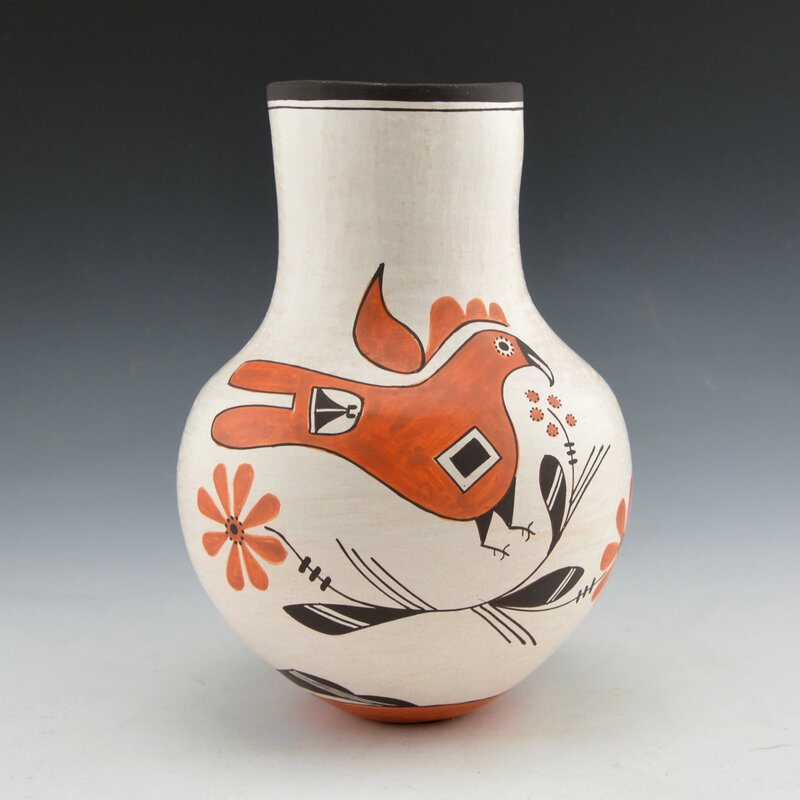 This jar is a striking piece of her pottery. It is coil built and thin walled. 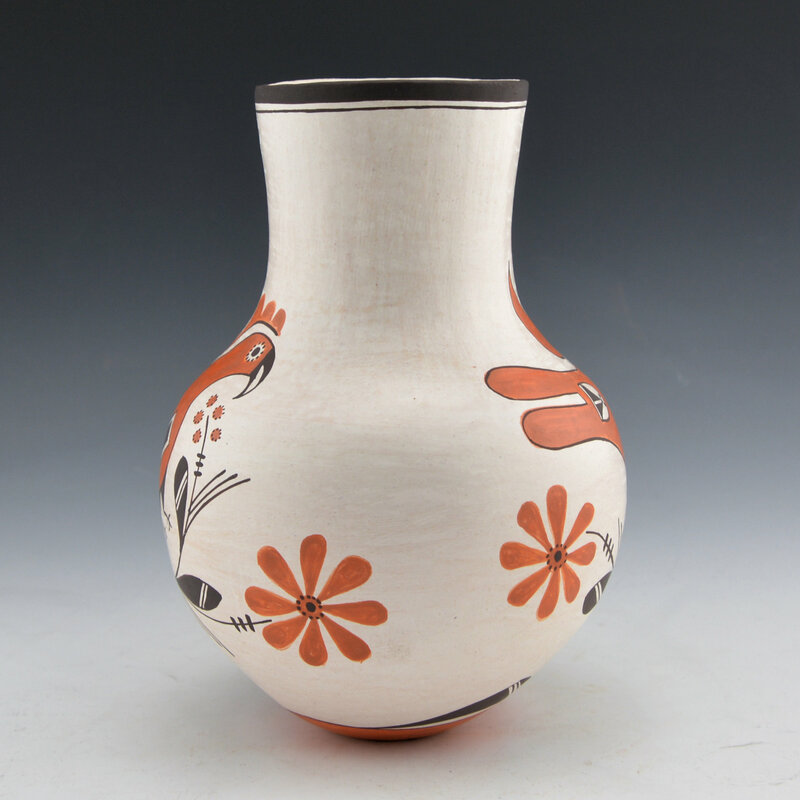 The shape is elegant with the round body and very straight neck. 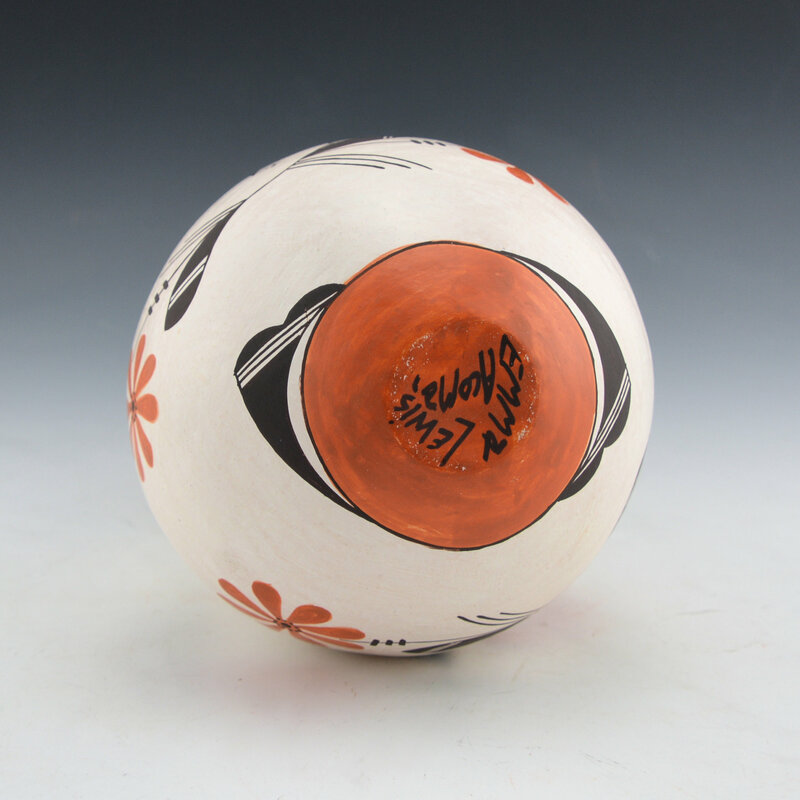 It is polished with a white clay and then painted with a bee-weed (black) and a red clay slip. 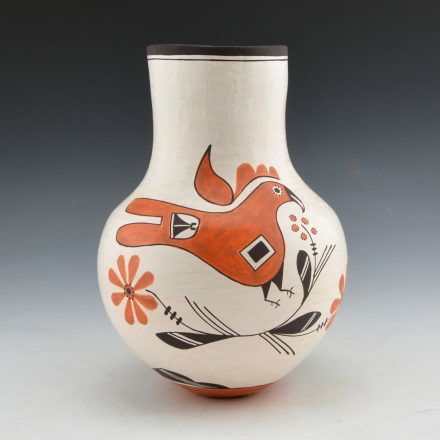 The design on either side are very classic Acoma parrots. 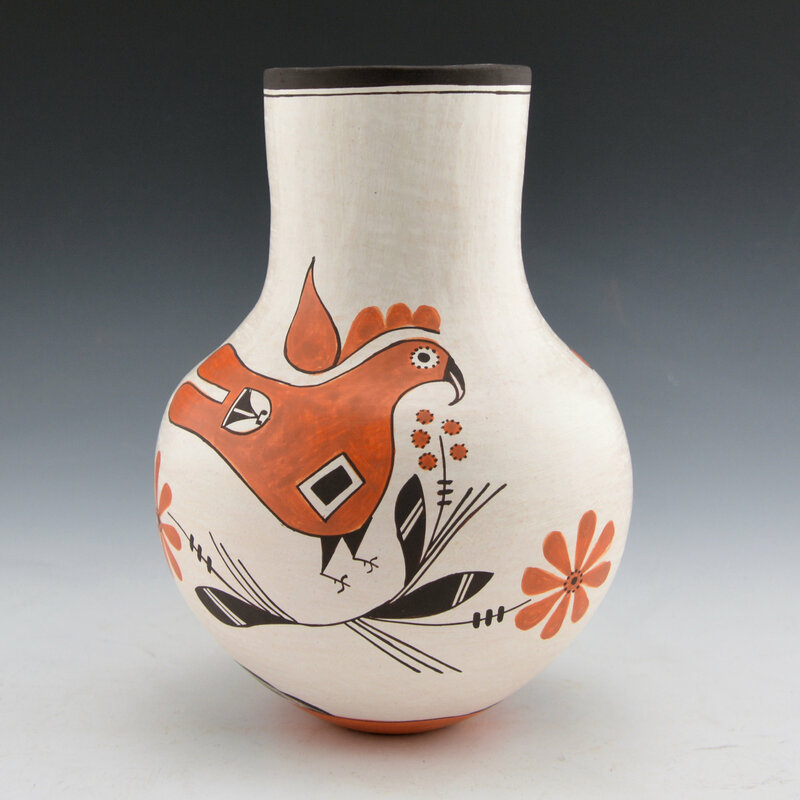 They are very tightly painted and note the thin lines around the bird and for the flowers. The parrots are a clan symbol and often used on pottery in Acoma. The jar is signed on the bottom, “Emma Lewis”. It is in excellent condition with no chips, cracks, restoration or repair.